Last week, the results of a very important and highly anticipated study, the IDEAS (Imaging Dementia – Evidence For Amyloid Scanning) study, were published in the Journal of the American Medical Association (JAMA). 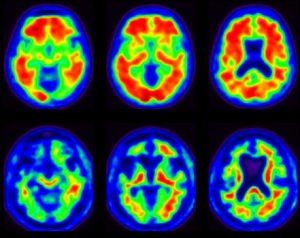 This national multi-center study, including UC Irvine, enrolled more than 11,000 Medicare beneficiaries with cognitive impairment to undergo a special type of scan called amyloid positron emission tomography (PET). Amyloid PET scan provides the opportunity to visualize the accumulation of abnormal amyloid plaques on the brain. Amyloid and tau proteins are the hallmarks of Alzheimer’s disease (AD). The study has convincingly shown that amyloid PET scan results can lead to change in the clinical management of a select group of patients with mild cognitive impairment (MCI) and dementia. Based on amyloid PET scan results, physicians involved in the study reported changing their management plan in about 60% of patients. Furthermore, the diagnosis of 25% of patients with presumed AD changed to non-AD, and the diagnosis of 10% of patients with presumed non-AD changed to AD. Further analyses showed that the diagnosis of patients with MCI with a presumed non-AD etiology changed the most after amyloid PET scan. The study is unprecedented in terms of its scale and importance for clinical management of dementia. It is worth emphasizing, however, that for consideration in the study patients had to have cognitive impairment for which the etiology was unclear after undergoing appropriate cognitive assessments, laboratory tests, and magnetic resonance imaging (MRI) or computerized tomography (CT) brain scans. These criteria would automatically exclude a large majority of patients routinely assessed in clinics whose clinical presentation is typical for one of the many forms of dementia. Also, patients were only referred to the study if the referring clinician felt that the outcome of amyloid PET scan would lead to change in either the diagnosis or care of their patients. the study did not compare the value of amyloid PET scan with other available investigations, such as measurement of amyloid and tau in spinal fluid with lumbar puncture. It is important to emphasize that currently, the cost of amyloid PET scan is not covered by Medicare and other insurance providers, so it is primarily only used in the research setting. Given the impressive outcome of the IDEAS study, however, we might see a change in Medicare reimbursement policy for amyloid PET scan. Dr. Sajjadi is an Assistant Professor of Neurology in the UC Irvine School of Medicine. 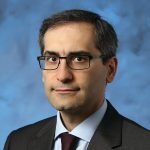 He received his medical degree from Tehran University of Medical Sciences in Iran and his PhD from the University of Cambridge in the United Kingdom. He completed his neurology residency and fellowship in Cambridge University Hospitals and University College Hospital, Queen Square, London, UK. Dr. Sajjadi is a cognitive neurologist who sees patients with memory and other cognitive concerns and also conducts research on Alzheimer’s disease and related disorders.